Never forget what someone says to you. When thy’re angry because that is when the truth comes out. 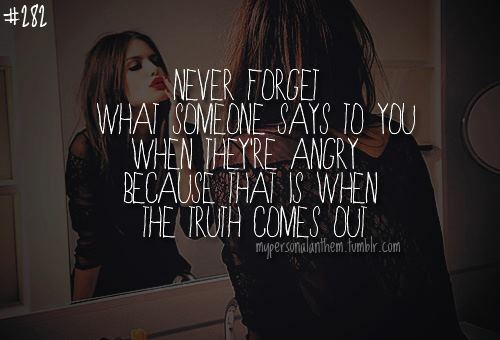 Quote : Never forget what someone says to you. When thy’re angry because that is when the truth comes out.